This post is almost three weeks in the making. Prancing Pony is a South Australian brewery I've visited a couple of times, their new digs are much nicer than the ones I reviewed last January. Hopwork Orange is their new Pale Ale that I've been looking forward to since September last year, before it was even ready for sale! I would like to think that this badge is relatively self explanatory. 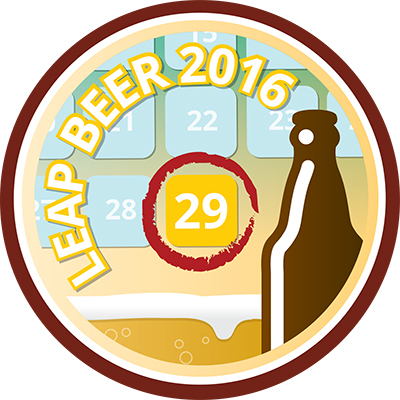 I allowed myself one beer during my couple of weeks of no drinking to unlock the Leap Beer (2016) badge, I mean it only comes around once every four years! Anyway, onto what you're all here for the review. Hopwork Orange poured a cloudy orange/amber colour with quite a few floaties. The head is off-white and has a few large bubbles appear not long after pouring. The head however remains at least a finger high throughout drinking and leaves quite a thick web of lacing. All-in-all it's quite an appealing pale ale and I couldn't wait to drink it. Onto the nose and it has that distinctive Prancing Pony malt aroma. The caramel is very pronounced, as their beers always are due to their fire-brewing. As the name suggests, orange is the main aroma coming from the hops. They don't appear to be particularly bitter. The flavour was very similar to what the nose indicated it would be. With relatively sweet orange, almost like a marmalade flavour, combining nicely with the caramel malts. There's also some light earthy hops, which were a welcome addition to the beer. It's quite light bodied, with good effervescence and is very refreshing. 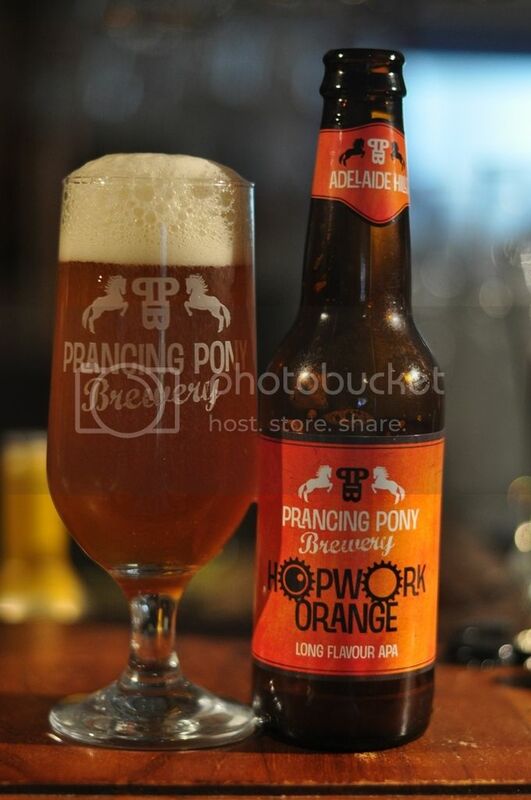 Prancing Pony's Hopwork Orange unfortunately didn't quite live up to my hopes/expectations of it. Don't get me wrong it's a nice flavoursome Pale Ale, it's just not up to the standards of some of their excellent others beers like the India Red Ale or Black Ale. If you like Pale Ale's it's certainly worth a try, I wasn't blown away by it but you may well be. I don't remember writing a review that I liked less than this, so apologies for that!